AI-driven technologies are already having a huge impact on the healthcare industry at large — but how will they impact the future of clinical trial recruitment? Artificial intelligence (AI) and machine learning have begun to transform the healthcare industry for the better. 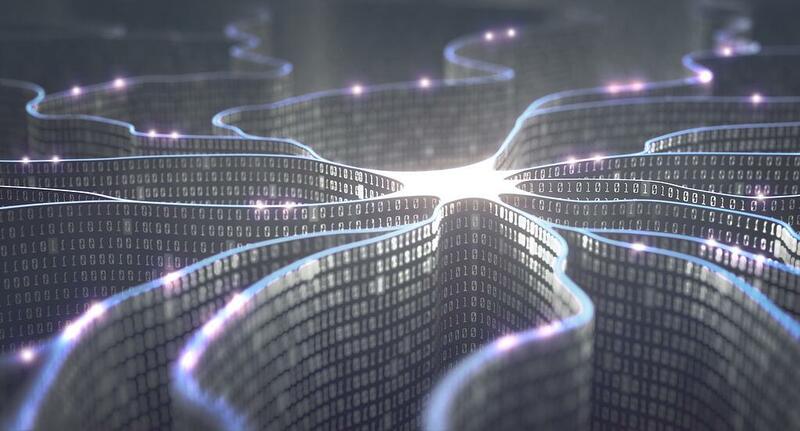 AI’s applications in healthcare already range from data management to designing treatment programs to genetic analysis, and machine learning algorithms are on their way to solving some of our biggest healthcare problems. Despite the positive impact that AI has already made for the healthcare community at large, clinical trials have been slow to adopt this emerging technology, despite its ability to address a number of the industry’s longstanding challenges. In particular, patient recruitment remains a significant roadblock to success. Traditional recruitment tactics have become increasingly ineffective in the digital age and costs are skyrocketing as a result. According to Tufts CSDD, the average total cost of developing and ultimately securing FDA approval for a new drug is approximately $2.558 billion — considering that up to 29% of a given study’s total cost still being attributed to the enrollment process, it’s clearly time to start exploring new solutions. Here are a few ways that AI tech could help address issues surrounding patient recruitment in the near future. Digital advertising platforms like Google and Facebook are already accelerating clinical trial recruitment. Instead of placing physical or digital ads where they think their patients will be, sponsors and CROs can run campaigns that target candidates based on key inclusion/exclusion criteria. This level of targeting has gone beyond age, location, or gender; audiences can be defined by the apps they use, the online communities they join, other ads they’ve clicked on in the past, and purchasing behavior. Facebook's platform, for example, can cross reference campaign performance data with users' demographic information and demonstrated interests, which it can then use to identify other similar prospects. In other words, it automatically expands your audience in the most targeted way possible, helping you reach previously untapped pools of potential participants. Google AdWords has the added benefit of combining search data with user intent. It allows you to serve ads to prospective participants whose search queries indicate that they’re nearing the decision-making stage of their path to treatment. This increases the likelihood that they’ll be receptive to a clinical research opportunity, which in turn increases your ad campaign’s conversion rate and ultimately, your ROI. Even if you manage to reach the right participants, there’s no guarantee that qualified candidates will choose to enroll. Researchers at the Cincinnati Children’s Hospital Medical Center are working on a new machine-learning algorithm designed to increase participation in clinical trials by gaining a better understanding into why patients accept or decline invitations to relevant studies. Right now, this technology is being applied in the context of an in-person, per-patient recruitment strategy in the hospital’s Emergency Department. The developers say that patients approached through traditional recruitment methods accept invitations about 60% of the time — the algorithm bumps that number up to 72%, which will likely increase as the technology is refined. It’s not difficult to imagine this same kind of technology being applied to great effect in a digital recruitment context in the near future. The widespread adoption of EHRs over the past decade has opened the door for health tech startups touting new technologies designed to disrupt longstanding medical practices — and clinical trial recruitment is no exception. Companies like Mendel.ai and Deep 6 AI are building AI-powered platforms that automatically match qualified patients with relevant clinical research opportunities. Sponsors and CROs receive lists of patients that match their criteria exactly, and patients are only paired with trials that they qualify for, saving a great deal of time and energy for all parties involved. The downside to this method is that, as of now, patients are self-selecting. They must either upload their own medical records to these platforms or give their doctor permission to do so — and chances are that patients, who are generally not aware that clinical trials are even a viable treatment option, may not feel compelled to do so. But if these platforms can develop strong partnerships with healthcare providers to acquire that patient data, they may become an impactful patient recruitment tool in the near future. At the end of the day, one thing is crystal clear: clinical trials need to start looking at new technologies and outside-the-box solutions if they want to see a positive change in the area of patient recruitment. AI and machine learning tech has proven itself to be a game-changer across nearly every other industry on earth — I think it’s high-time we gave innovation and progress a harder look.